Until now, I was using an Asus laptop that I had to buy quickly because I needed a new one for my work. However, the laptop wasn't very Linux-friendly and as I had enough with the problems I was encountering, I decided to change for a Lenovo Thinkpad T450s. First time of my life I can say I'm satisfied with a computer! I will give you also the installation guide I used for ArchLinux. On the Asus laptop, I had installed Ubuntu Gnome that I liked, but after two months, it began to show errors and failures before getting to the login screen. It obliged me to do hard reboots several times until I could finally log in normally. Sometimes it took me literally more than 10 minutes! Besides of that, I have had since the beginning issues with the touchpad because it was recognized only as a mouse and I couldn't use the multi-touch feature, and concerning the keyboard, the screen brightness function keys wasn't working either. All these little issues made me enough of this computer. As I saw that quite a lot of people using Linux on their laptop were having a Lenovo Thinkpad, I chose to try the Thinkpad T450s. Switching to this hardware was awesome: I bought the extended battery for some bucks more and now its battery life can go until 18 hours with browsing the web and other light tasks! The case is lightweight, the screen is not too big (good for moving around), the keyboard is precise and has a nice touch feeling, the touchpad is working nicely (even though the best touchpads are on Macbooks), and almost everything worked from scratch. Only the touchpad needed the Thinkpad drivers, which was very easy to install. I repeat: awesome. When I began my internship at Gandi, my tutor was using Arch Linux on its laptop so I went for a try. I was always attracted by its KISS philosophy, having only the things you want and by the same time having a lightweight operating system. So he helped me to install it on the company's laptop and later on I did it myself on my own laptop. It wasn't as hard as it felt last time when I tried in VirtualBox. Caution: this tutorial will teach you how to encrypt your hard disk. It means that all data will be encrypted when using the computer and so protected in case of theft, but also that forgetting the password may make impossible for you to retrieve your data. HOOKS="... encrypt lvm2 filesystems ..."
Congratulations! You have now installed Arch Linux ! You still have to install a desktop environnement like GNOME, KDE or XFCE and your differents apps. I will write about it in a next article. And you, what is your laptop for GNU/Linux? 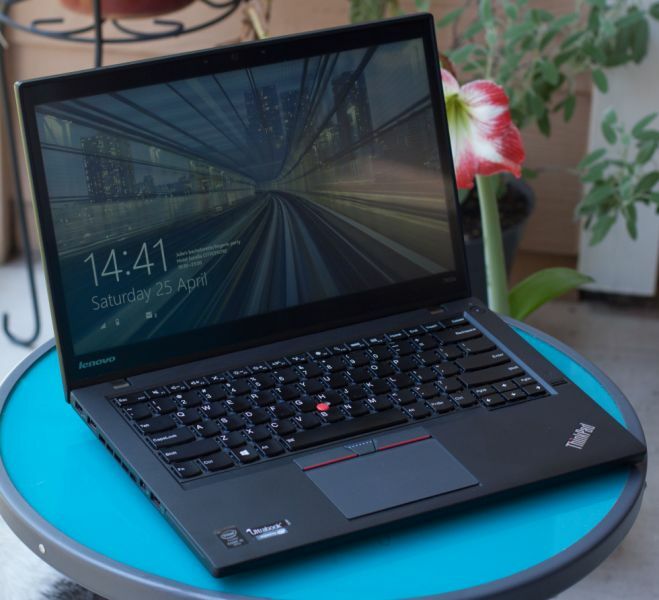 Edit: To continue your Arch installation with GNOME you can follow this next article: "Thinkpad T450s: what to do after a raw Arch Linux installation"
You found an error in this article? Some advice? You can send a comment by email to "blog at killiankemps.fr" with "[Comment][en][Gorgeous Combo: Arch Linux on Thinkpad T450s (with a Arch Linux How-to)]" as subject.